The Southern Vegetarian Chronicles: Couture, Cooking Classes, and Cakes, Oh My! Below is a neat article I wanted to share on what to wear in the kitchen when entertaining. One of my favorite Food Network Chefs, Giada DeLaurentiis, shares her ideas on dressing for guests while working kitchen. On that note, I often find myself wondering what to wear when I teach cooking classes. Do I wear a formal chef's jacket even though I am not technically a chef? Do I wear a regular outfit with an apron? What do I wear to look neat, stylish, and professional? I personally like Chef's like Anne Burrell and Mario Batali who each have a distinct sense of style while in the kitchen. Chef Anne wears colorful outfits and has a signature hairstyle while Chef Mario wears shorts and orange crocs. So, I will be thinking about my kitchen style as I work on my ideas for teaching a cooking class to young people. Now on to cakes. OMG! as my younger sister would say. I have found something that makes my vegan cakes taste better than a regular one. I have a 1 + 2+ 4 + 2 formula for my cakes which means, 1 part fat, 2 parts sugar, 4 parts flour, 2 parts liquid. 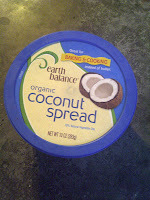 Instead of Earth Balance shortening or buttery spread I used their new Coconut Spread for the fat. I must say it, combined with coconut milk for the liquid, made for an awesome cake. 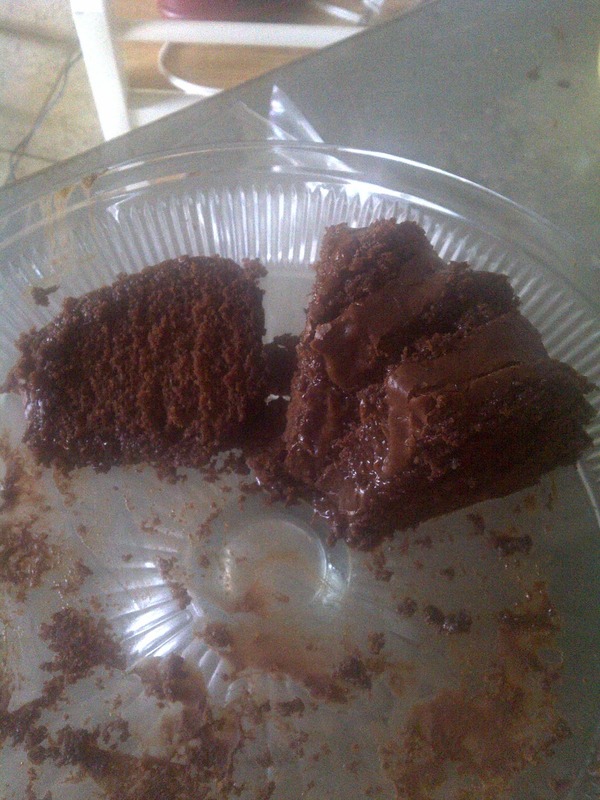 The texture was perfect and it was moist, not gummy or too dry. If you are into vegan baking try it. It makes for a great cake! Here's wishing your husband a very happy birthday.